Rajesh Pillai who has delivered 'Traffic' for the movie lovers has already started the works of his next venture. 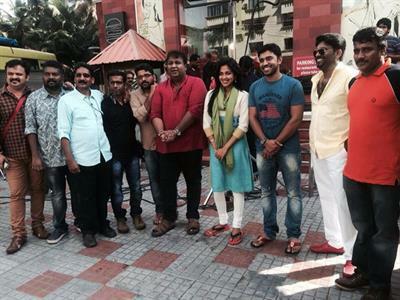 Titled 'Mili', the movie will feature young heartthrob Nivin Pauly and Amala Paul in lead roles. The story revolves around a girl named Mili who overcomes setbacks through self –discovery and self belief. Mili (Amala Paul) is a woman who lives with a lot of convolutions. Having a weird and ugly look, an inferiority complex develops which keeps her away from others. During the period of time, she realizes the internal potential and finds her own way to survive in this world. The self realization and her internal urge to face challenges form the crux of the movie. Amala who dons the role of Mili has already been in the character and is much confident to portray her best of the acting skill. Just like the director's previous hit 'Traffic', this movie too will convey a message which the viewers could keep close to their heart. After the first schedule, Amala will take a break to start preparation for her marriage with filmmaker Vijay. Nivin Pauly, who will be sharing screen space with Amala Paul, is excited to work with an actress who has proved her mettle is other languages. Produced by Sathish B Sathish under the banner of ordinary films, the movie is blessed with the presence of Gopi Sundar and Shaan Rahman who would set the tunes. Kasthuri and Sanusha will be playing the important roles in the movie. Mahesh Narayanan, who is known for editing movie like Beautiful, Traffic, Mumbai Police and Visudhan will script for Mili. Anish Lal will helm the camera. The movie has already started rolling with Thiruvanthapuram as the main location. Riding on the success of movies like '1983' and 'Om Shanthi Osanna', Nivin Pauly is a lucky charm for the directors. Credited with hits like 'Thattathin Marayathu' and 'Neram', Nivin has grown up a lot in choosing projects which could bring fruitful result.